Did you just experience the pain of writing a check to the IRS? What if instead, you could have written that check to buy the yacht of your dreams? It’s not too good to be true, it’s Business Yacht Ownership®! Business Yacht Ownership® is a way to purchase the yacht of your dreams while offsetting up to 80-100% of new yacht costs! A yacht is a large investment and Business Yacht Ownership® offers the least expensive way to own a new yacht. This is not a time-share, fractional ownership or a fixed revenue ‘program’ or ‘plan.’ Business Yacht Ownership® is completely personalized and tailored to the needs of each individual owner. 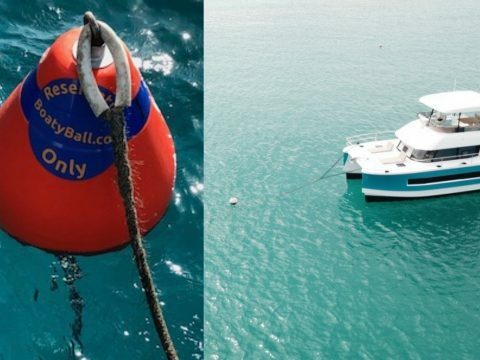 Business Yacht Ownership® couples charter revenue with tested tax strategies to offset the costs of yacht ownership. 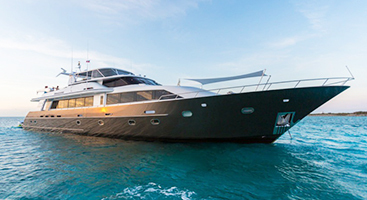 You select any yacht you want to purchase and our team provides guidance and suggestions on the best options for charter. You create an LLC and establish a small business for your yacht, and with expert guidance, develop a proper, for-profit yacht business. We refer all potential buyers to Bill Lahr, an independent fiduciary, and the YachtCFO. Bill has advised hundreds of clients on yacht purchases and assisted with establishing their successful yacht businesses. We then manage your yacht in our charter program. The charter revenue generated is used to offset your ownership costs; dockage, insurance, maintenance etc. 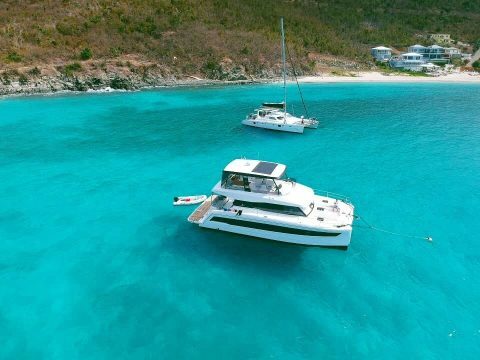 In addition to charter revenue, there are huge financial opportunities through leveraging effective tax strategies for your yacht purchase as well as depreciation. Since you are establishing a for-profit LLC with your yacht, any tax advantages can flow through to your personal tax returns. 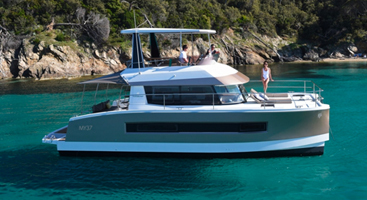 The best part of Business Yacht Ownership® is it can be applied to any yacht you want to purchase and the financial structure is specifically tailored to your personal circumstances and goals. 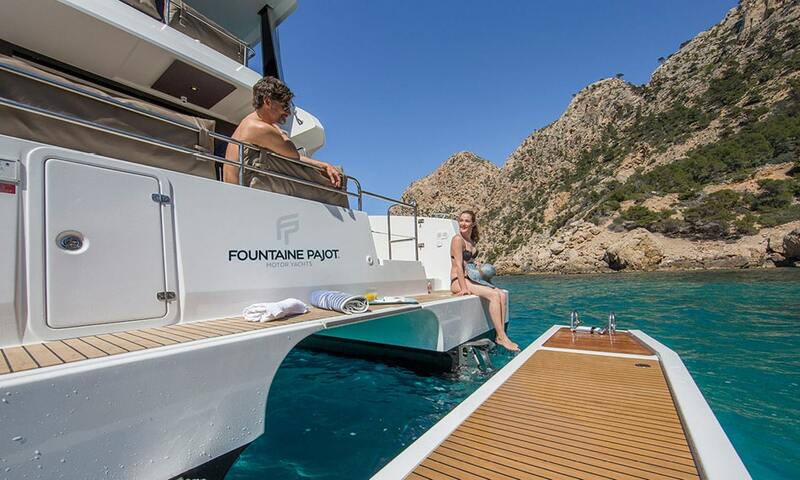 Our Fountaine Pajot partners at Atlantic Cruising Yachts, have helped over 800 buyers over the last two decades through their Business Yacht Ownership® program! 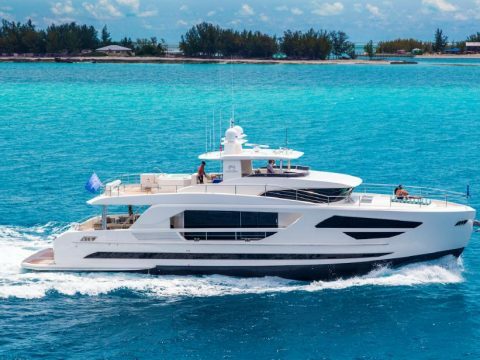 Bill Lahr, and his team at Archetype Advisors are independent fiduciaries and financial planners with decades of experience specializing in how to legally and effectively establish a yacht business. 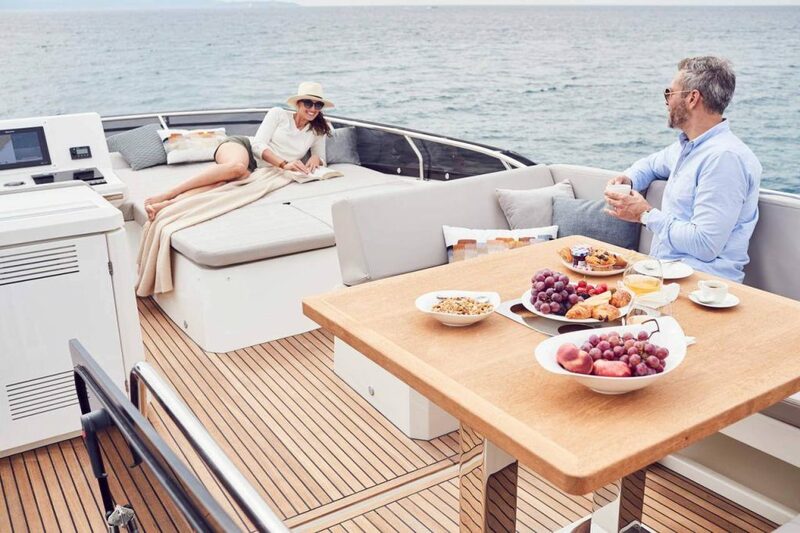 Bill assists clients with developing comprehensive financial business plans that couple charter revenue and individualized tax strategies to own a yacht in the least expensive way possible. The best testament for Business Yacht Ownership® and Bill Lahr is many clients are on their second or even third yacht purchase! People often worry that having a 'yacht business’ is a red flag for an audit. This completely depends on how you establish your yacht business, and if you actually intend operate as a for-profit business. If you establish the business correctly, you are at no more risk of an audit than any other small business operating in the US. If you work with Bill Lahr and his team, they will help you take the steps from day-one to establish your yacht LLC as a legitimate small business. They utilize proven financial planning and tax strategies to ensure your business is set up for both financial and legal success. 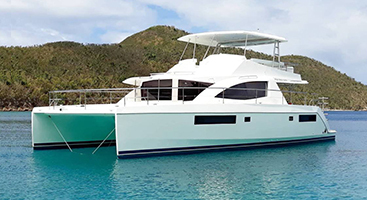 Additionally, by partnering with Virgin Charter Yachts, an established yacht charter company, you demonstrate an active intent to charter your yacht and generate revenue for your small business. Your yacht will be cared for and managed by our industry experts with more than two decades of charter management experience. If you think Business Yacht Ownership® is right for you, we are always happy to speak with you to provide you additional information! 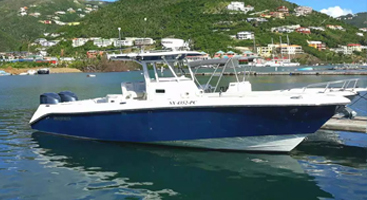 You can email Alexia Lucas, owner of Virgin Charter Yachts, at alucas@virgincharteryachts.com or call direct at 1-284-346-5838. Additionally, Bill Lahr offers webinars where you can learn more about his services and expertise as the YachtCFO. We are a yacht charter company, not tax or financial advisors! Through our Business Yacht Ownership® program, we have developed fantastic partnerships with financial planners and independent fiduciaries who we look to for their knowledge and expertise in tax strategies. They share what they know with us and we are happy to share it with you. Everyone’s situation is different and we ALWAYS recommend you consult your own financial team to develop a plan that is best for you.